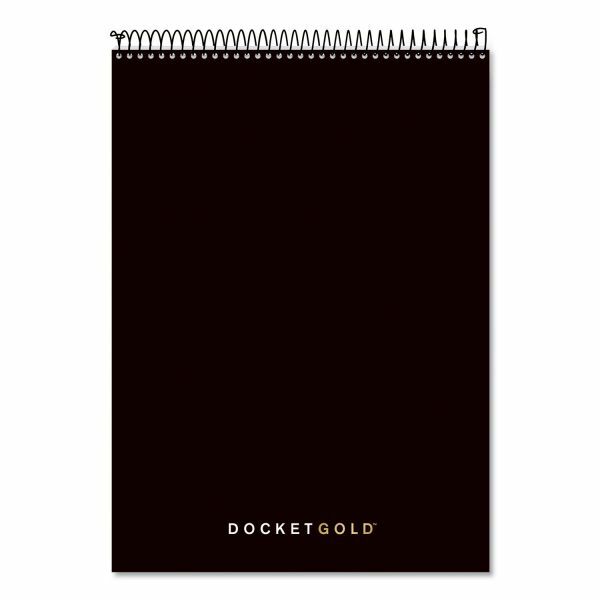 TOPS Docket Gold Planner, 8 1/2 x 11 3/4, Black - Wirebound tablet features numbered legal ruling and "Prepared by" top section to help keep projects in order. Letr-Trim perforations provide clean sheet removal. Coil-lock binding. Heavyweight 20 lb. paper and sturdy 60 point chipboard backer. 70 sheets per pad.